West Allis, Wis. (August 11, 1968) - Jack Bowsher had things his own way after car trouble plagued A.J. 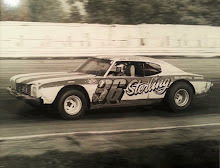 Foyt, and the Springfield, Ohio, driver piloted his 1968 Ford Torino to victory Sunday in a 150-mile late model stock car race. 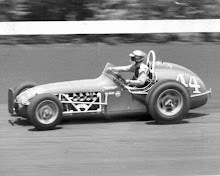 Bowsher took over the lead for good when Foyt had to make a pit stop on the 77th lap on the one-mile paved track at State Fair Park. He coasted to victory under the caution light in an average speed of 95.519 miles per hour. The light went on with five laps to go when Al Unser’s car hit the wall on the south turn and caught fire. 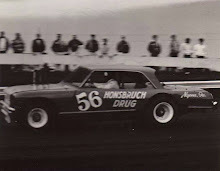 Unser, Albuquerque, N.M., who was running fifth at the time, escaped injury. Parnelli Jones of Torrance, Calif., who set a qualifying record of 103.68 miles per hour, led the first six laps but then blew his engine. 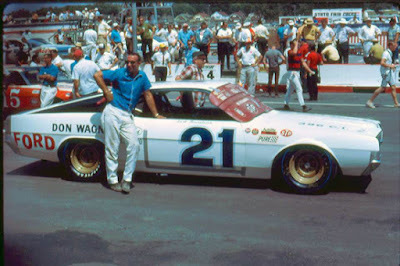 Bowsher then took over the lead and led until the 22nd lap when Foyt, Houston, Tex., took over in a Torino. Foyt, seeking a third successive victory here, led until the 77th when he had to make a pit stop, relinquishing the lead to Bowsher. Foyt got back on the track but had to come off again on the 91st lap. Foyt took over Whitey Gerken’s car and shared fourth place. 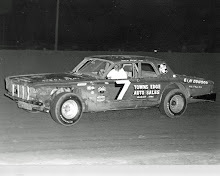 Roger McCluskey, Tucson Ariz., was second in a 1968 Plymouth Roadrunner, while Norm Nelson of Racine, Wis., was third in a 1968 Roadrunner. 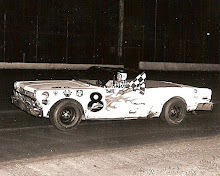 Fifth in a 1968 Ford Galaxy was Art Pollard, Medford, Ore. The crowd of 20,423 paid a purse of $23,375.